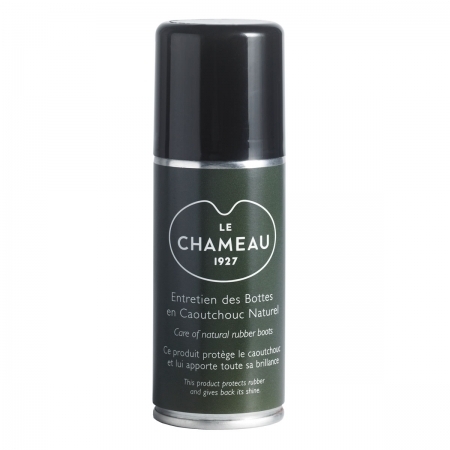 Le Chameau Rubber Boot Spray - 80ml. Rubber maintenance spray. Le Chameaus own rubber cleaner/protectant spray. Seems to make water roll off in droplets rather than sheet over an area. Excellent.